Starting last year, I decided that rather than make a list of resolutions, I’d have a word that would be my theme for the year and I’d try to apply it to all the things I wanted to do. For 2011 it was “DISCOVER" and I think it worked well. It was a year of lots of new things…son’s graduation from HS and starting college ( and discovering how to let go!) 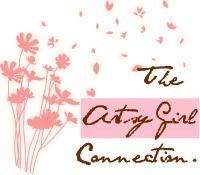 ; changing jobs ( discovering new skills); all kinds of blogging discoveries like new bloggy friends, ideas,technical how-tos etc. You get the idea. I decided I’d stick with this idea for 2012 and pick a new word. This word just fit into all the things I keep thinking about for the year ahead. I want to FOCUS on me. Not in a selfish way, but in a healthy way. Taking better care of my physical and mental health. Ensuring that I’m in good shape so I can be there for those I love. I made this printable to frame and hang outside my office door as a daily reminder. I also want to FOCUS on things I want to do in blogging. Continue to grow but stay authentic. FOCUS on why I started blogging and have it be part of my creativity but not dictate my creativity. FOCUS on expanding realationships while maintaining the ones I already value and treasure. You know I can't resist an opportunity to make a pun so I also want to FOCUS on taking better pictures. I'm excited to play with a portable light box I got for Christmas!! FOCUS on the US in my relationship with hubs. We celebrated our 20th Anniversary this year and yet it seems like just yesterday that we got married. We’re still adjusting to this whole empty nest thing but as hard as it was to adjust to our son being gone for long chunks of time, we re-DISCOVERED what it’s like to be a couple again, just the two of us. In 2012 I want to FOCUS on that some more in 2012. Love you so much Mr. C.
I want to FOCUS on the things that are really important and not dwell on the things that aren't. That's something I know I need to work on...just a little OCD sometimes! So you get the picture. This just clicked for me as a word that encompassed everything. Do you have a word that describes what you want from 2012? I'm late to my own party! Welcome to the "I can't believe it's the last BFF Open House of 2011" link party! 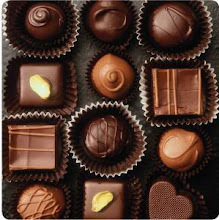 I want to kick off the party by expressing my gratitude and appreciation to everyone who has chosen to be a regular part of The Answer Is Chocolate. Blogging has been such a wonderful experience for me in 2011, and it's because of the friendship, support, humor, creativity, generosity and talents of brilliant talented bloggers. You all enrich my life beyond measure and I can't wait to see what 2012 brings. Now, let's see what everyone's been up to. I've seen some wonderful New Year's Eve ideas that even an NYE Grinch like me can love, and I'm starting to get excited about the clean look that usually comes to my house after the holidays ( not the putting away of the decorations part!). If you made it, link it and no advertising or shops please. And what better time to make a new friend than the start of a New Year so won't you go and visit at least one other person? Party On! PS Don't forget I have a giveaway going for My Memories Suite digital SW...seriously it's FREE and it's fun program to play around with. We are not big New Year’s Eve party people. I joked with my mom that I’d celebrate on Australia time which means I could mark the New Year a day earlier and not even attempt to pretend (or pretend to attempt) I was going to stay up. I don’t have anything against New Year’s Eve…I love thinking about the year past, the year ahead, goals, memories etc. Just have no desire to dress up in stuff I’ll wear once, and/or be out and around people who’ve had too much to drink. So it’ll be another cozy night at home. But we’re not total Grinches! We’ll have a special dinner and of course there will be chocolate, and we’ll have a movie or On Demand TV series marathon. Living on the edge I know, but even homebodies can be festive! Especially with a trip to Dollar Tree, supplies on hand and the amazing Graphics Fairy! I found the basic paper top hat at Dollar Tree…variety of colors but I liked the silver and gold. Except they only had two. Well they had three but one was smashed in. So I got blue for college boy since it goes with his school colors. Remembered I’d downloaded a great antique clock graphic from The Graphics Fairy. Printed several on cardstock in various sizes and cut them out. I have the Tim Holtz Weathered Clock die by Sizzix so I cut out several in silver and gold and used up scraps from my Christmas cards to punch glittered silver and gold foil stars. Not too bad for a $3 investment by a New Year’s Grinch right? Don't forget, I also have a great giveaway of My Memories Suite digital scrapbooking software going on through New Year's Eve! Something I’ve been wanting to do is play more with digital scrapbooking. Even if you’re not a scrapbooker , there are so many things you can do with digital scrapbooking software. 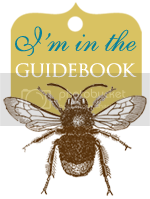 Printables, signs, buttons or graphics for your blog. 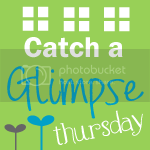 I was so excited when My Memories gave me the opportunity to try their digital scrapbooking software and have been having so much fun playing with it. Even better, they’re giving me the opportunity to let one of my readers download their own copy! More on that in a minute. One of the first things I created was my dinner menu for Christmas. I used one of the templates (Holiday Snows) that came with the software to make it. You can use as is or modify by deleting, moving, or re-sizing elements. This was a very basic project that I did in about 5 minutes. I used pages from the album Holiday Simplicity in the post I did on the ginger bread cottage I made for Christmas. The designer albums allow you to use all or as few of the pages as you want and it’s super easy to drop pictures in. In addition to all of the templates that come with the software, you can buy or download free templates from the My Memories website. They also offer some exclusive downloads on Facebook. I also love that you can export your album or pages from your albums as JPEG files just like you would any other picture. So now for the fun part! My Memories is offering one of you the chance to get your own copy of the My Memories Suite digital scrapbooking program, a $40 value. The giveaway will be open through New Year’s Eve and the winner announced on New Year’s Day 2012. What better way to start the new year off than by making a memory! 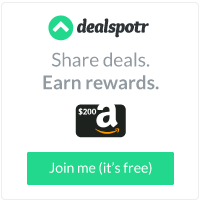 If you don't want to wait to see if you win , or if you see this after the giveaway closes, you can always use my My Memories code and get $10 off your purchase of My Memories Suite PLUS a $10 credit to the My Memories online store. Just type in STMMMS58014. *While I was provided a copy of the software to use, the opinions expressed are my own. BFF Open House Link Party #33 Wrap Up and Features! I hope everyone had the Merriest of Christmases and the Happiest of Hanukkahs. It’s hard to believe that it’s the day after Christmas already! I'm off to a slow start and will see what goodies are left at the stores whenever I get there. I didn’t get a chance to visit all the links like I usually try to do but wanted to share some ideas that caught my eye from last week’s BFF Open House. While the holiday wrapping may be done with for another year, we all have birthdays, weddings, showers etc to wrap for throughout the year. I usually pick up non-traditional wrapping paper etc on sale after Christmas to use all year. 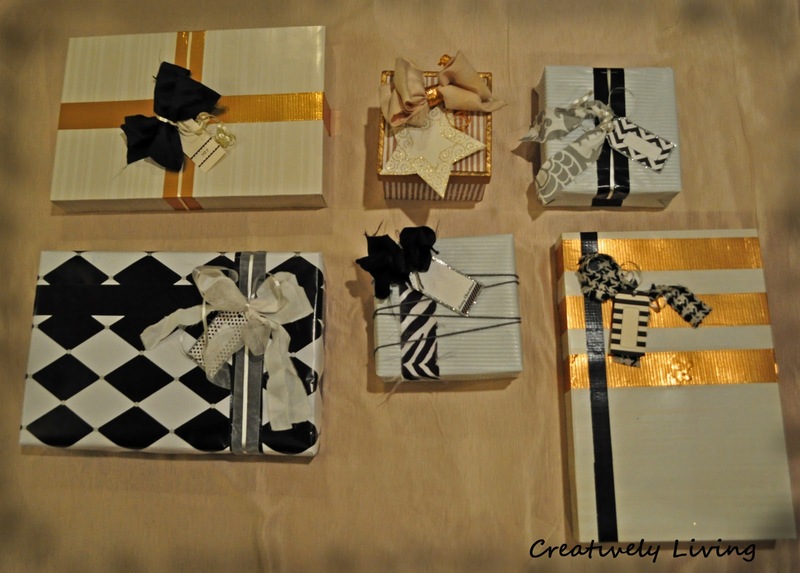 Katie, from blahtobeautiful shared some very creative wrapping ideas using Duck tape and fabric scraps! 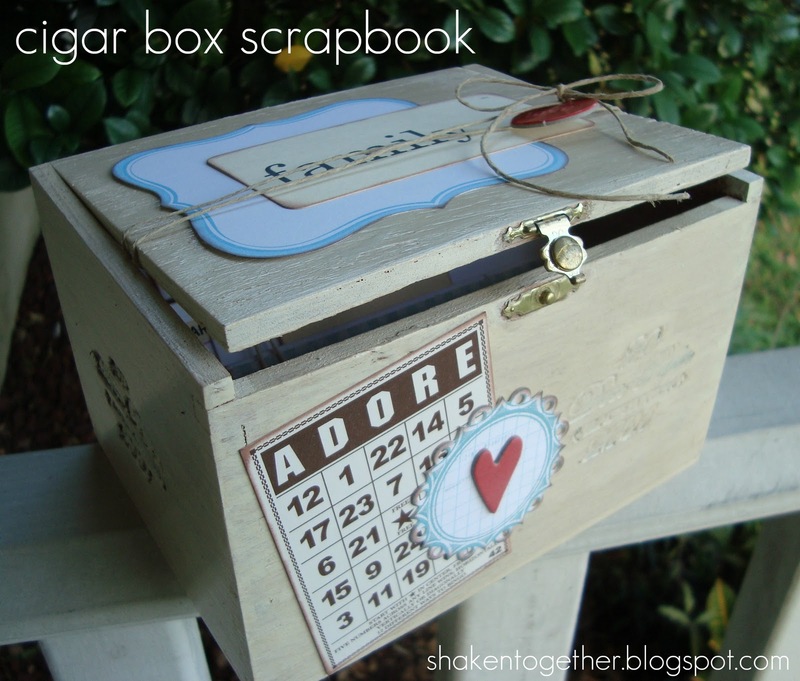 Inside the box, she’s got a file / tab for each month where she can jot down the happenings from that month, put pictures from that month etc. What a great idea to start in January and give a family member or friend next Christmas! Now would be a great time to pick up all the supplies with the after Christmas sales! 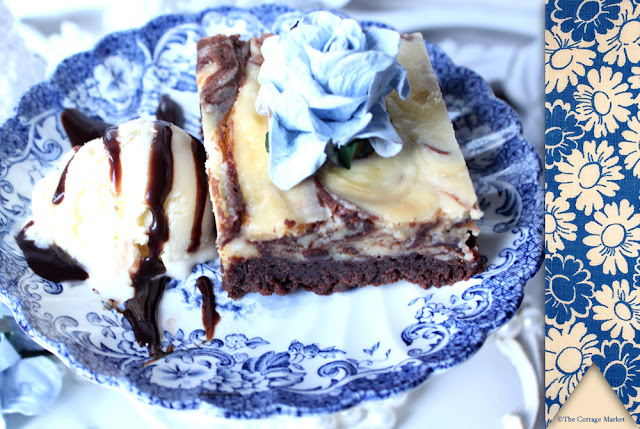 Finally, like many of us, I will start the New Year trying to be good after all of the holiday indulgences so I think I better make these amazing cheesecake brownies before New Year’s Eve. These were shared by Andrea from The Cottage Market. YUM!! Thanks everyone for linking up and looking forward to seeing what you've been up to this week. BFF Open House Link Party #33 Christmas Edition! I can’t believe that Christmas is Sunday! Are you ready? I’m not. Just a few last minute things to do. I’m sure there are some brilliant last minute ideas out there right? So we’ll get right to the party! If you made it, link it, and no advertising or shops please. I know we’re all running like crazy, but let’s support each other and visit at least two other links. Thought I’d share the treats I did for my husband’s office. You might remember the cookie pops I did for Halloween. Same basic process…candy melts, Oreos, lollipop sticks. This time I just crushed up some candy canes to sprinkle on top. Voila. Peppermint Bark Cookie Pops. I started out making cupcakes but completely spaced and forgot that he needed more than 2 dozen. So….supplemented the cupcakes with a box of cookie pops. Crisis averted. Basic chocolate cupcake, vanilla icing, crushed candy canes = Peppermint Bark Cupcakes. I was completely lazy and used pre-made toppers by Wilton. Thank you Dollar Tree Christmas trays. I wrapped each of the cookie pops in cello bags and tied with red and white striped paper ribbon I had on hand. Then at the very last minute I decided they needed a box so covered one w/ scrapbook paper in like 2 minutes. Made a medallion and stuck on the front. Ooops. Fixed that tape that sprang loose before I sent them off. These cookie pops are the stinkin easiest last minute thing to whip up. Seriously. This is far from life changing but I thought I’d share a quick and easy way to 1.) finish off your packages and 2.) use up those pesky scraps of wrapping paper that always seem to be there. I neglected to take pics along the way but it’s pretty straightforward. I just made a medallion, lolly, pinwheel, whatever you want to call it from my scrap wrapping paper. ( Fan fold either one long piece or two smaller pieces cut the same size ) and make your basic medal-lollly-wheel. I punched a circle from some scrap glitter cardstock and added a metallic pom pom from my stash. You could add another medallion, a die cut, a different punched shape, button etc. Great way to use up leftovers and onesies. I call this the “half lolly” . Sounds like a diving term! Instead of bringing the two sides together to form a circle, I just taped them straight to the package so it stands up. House seems like a bit of a stretch. It's more like a cottage. I baked a gingerbread house from scratch one year and realized that I am not an architect! After that, it’s been Wilton, or grocery store pre-baked kits to the rescue. I picked the kit up from JoAnn's and Wilton does such a good job wrapping all of the pieces that nothing was broken. I decided to go with a simple red and white theme, hence the name. And since this is decidely NOT a family affair ( more like a spectator sport in my house) I get to pick! I wanted to make a sugar cube chimney and “brickwork” but need a little more truly flat space than I had. Oh well! Icing hides everything! Maybe next year I’ll try baking a chocolate one from scratch. MAYBE! BFF Open House Link Party #32 Wrap Up and Features ! Welcome to the home stretch ! With both Hanukkah and Christmas this week, it’s going to be a busy one for sure. I’ll have the link party up on Friday, but will skip a Blog Feature this week. Will resume 12/30. 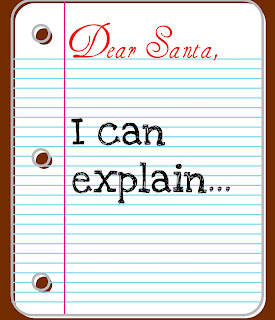 If you are or know a smaller blog ( crafts, DIY, paperarts, or foodie…500 GFC followers or less) and would like to be featured as a “BFF” in 2012, please email me: theanswerischocolate@comcast.net. Thank you to everyone who linked up on Friday. This was the biggest party yet and I really appreciate everyone who takes the time to link up and share their creativity here. This is on my list of things to make this week. Cappucino Fudge! Jocelyn from Inside BruCrew life shared this delightful temptation and I just wanted to jump through the screen! YUM! Whether you celebrate Hanukkah or not, the ideas that Malia from Yesterday on Tuesday shares with her wonderful Hanukkah calendar are things I think all of us could do. If you need a super cute idea for wrapping paper or something to do around the table, visit Megan at Polish the Stars for this great word search printable. She used it as wrapping paper. So cute! 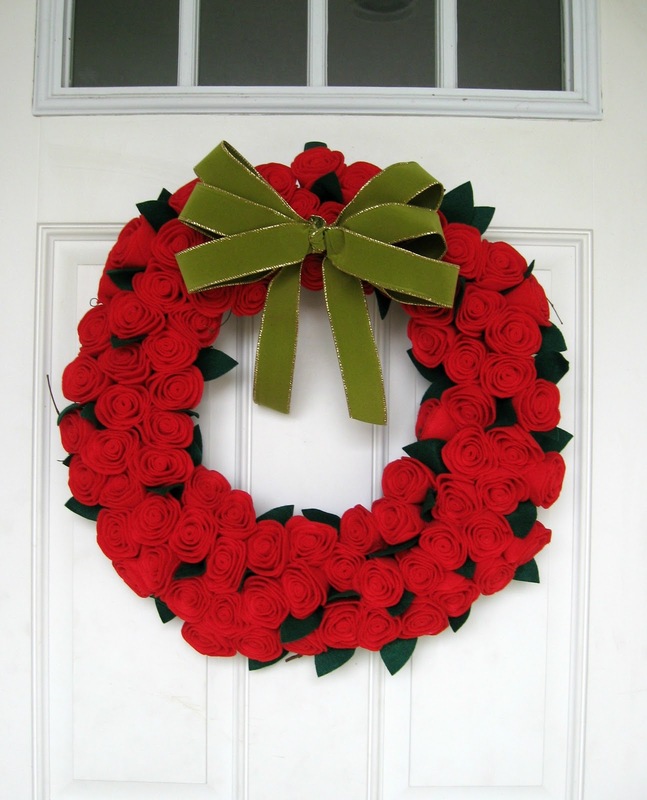 You really have to see this amazing wreath that Bethany at A Fish Who Likes Flowers did proving that indeed, she likes flowers. She made this out of 902 hand cut pieces! Please feel free to grab a featured button from my sidebar if you like. Thanks everyone. Have a very creative week and don’t over do. More easily said than done I know! Hope to see you all again on Friday. This week's BFF Open House link party is still going on here and will be up through Sunday. I thought I'd post an idea I recently shared over at The Scrap Shoppe where Michele has had a wonderful Handmade Holiday series going. This week is recipes so you should definitely check it out! It wraps up tomorrow but there have been some wonderful ideas shared. I really enjoy making things using inexpensive materials. Largely that’s because I can justify buying more supplies, but I’m also a firm believer that you don’t have to spend a lot to have pretty things around you. Like so many crafters, one of my go to places is The Dollar Tree. On one of my trips I found a pack of glittered reindeer ornaments. Five for $1! Had to have.Right next to them was a pack of red tissue paper “hot stamped” with silver. Also a must have! One of my other stash staples are unfinished wood frames from Michaels. Yep you guessed it. They’re $1. I took one sheet of the tissue paper and traced around the frame and cut out. Covered my frame with Ranger’s Glue N Seal and then put my tissue paper on. You could also use Mod Podge. I chose not to seal the top since I wasn’t sure if it would dull the shine of the silver foil. Don’t worry if you don’t get this exactly measured to your frame. Let your adhesive dry and then I file around the edges with a piece of fine sandpaper or a package of emery boards that you picked up at Dollar Tree! I covered both sides because it just gives a nice finished look since there’s no back to the frame. Took one reindeer from my package of ornaments, cut off the string used to hang and then hot glued it to my finished frame, offset so the feet and antlers are glued to the frame vs onto the paper. I liked the dimension this gave. I cut the letters JOY from black vinyl using my digital cutter but if you don’t have one of those, you could easily use alphabet scrapbook stickers or letter stamps. Embellished those with red self adhesive rhinestones I had in my stash. Another reason I like the effect of gluing the reindeer to the frame vs the paper is this shadow effect. The glittered snowflakes I also had on hand and came in a package of 12 for $1.99 at Michaels. My total cost for the supplies for this project was about $3! 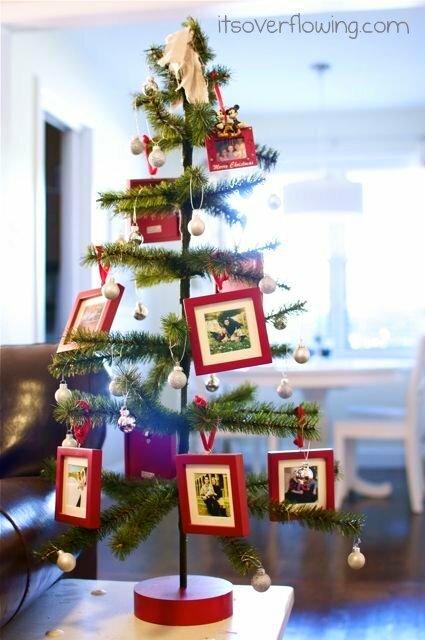 Let’s say you decided to spend $4 more on frames and make a total of five of these so you used up all your ornaments. Price per project would be around $1.40!! And I guarantee you’ll still have tissue paper left over. If you're looking for a last minute decor idea or gift, this is a fast an easy way to whip something up. Yes Virginia. This Is A Christmas Card! 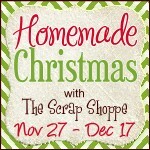 Guest Posting At The Scrap Shoppe Today!